a economic and high efficient viscosity iIncreaser for Abamectin EC.it has excellent thickening, emulsifying, moistening and dispersing performance at low dosage. 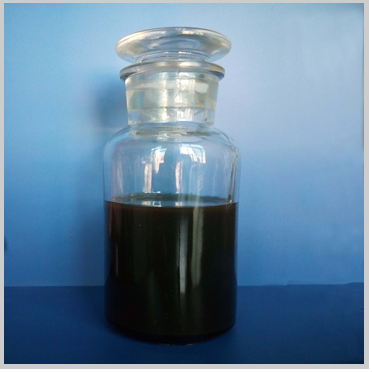 Adhesion Booster for Abamectin EC is light brown glutinous liquid under the normal temperature.it can dissolve in the water and many kinds of organic solvents. It is a economic and high efficient Viscosity Increaser for Abamectin EC. Thickener for Abamectin EC(Adhesion Booster/Viscosity Increaser for Abamectin EC) has excellent thickening, emulsifying, moistening and dispersing performance. Because of its excellent emulsifying effect you can add a little or no need to add other emulsifying agent in your formulation. The adhesion-promoting effect of Thickener for Abamectin EC(Adhesion Booster/Viscosity Increaser for Abamectin EC) is good even at low dosage with stable performance. the compounded EC slightly shows the color of blue after diluted and it’s very stable. When you Spray the EC on the leaf surface; together with the transpiration of moisture, a waxy and gradually degraded protective film will form on the leaf surface; so it can resist the rain water and keep the medicament efficacy. Besides, Thickener for Abamectin EC(Adhesion Booster/Viscosity Increaser for Abamectin EC) keeps good performance under all kinds of climatic conditions. Thickener for Abamectin EC(Adhesion Booster/Viscosity Increaser for Abamectin EC) is suitable for the making up of high-adhesion EC with the solvent as dimethylbenzene (xylene), such as avermectin, highly effective cypermethrine, propargite, procloim (banleptm) and built EC. Especially this product is suitable for the making up of high-adhesion abamectin EC. Thickener for Abamectin EC(Adhesion Booster/Viscosity Increaser for Abamectin EC) meets the MT 36 standard. Thickener for Abamectin EC(Adhesion Booster/Viscosity Increaser for Abamectin EC) is not a dangerous goods according to the transport regulation. Stock Thickener for Abamectin EC(Adhesion Booster/Viscosity Increaser for Abamectin EC) in well-ventilated,dry,cool shadow place in original containers.